Senior Labour MP Yvette Cooper has called on Conservative party whips to identify members who use "vile and dehumanising language" towards Prime Minister Theresa May, after a weekend during which suggestions she should be knifed and hanged abounded. A number of unnamed members of parliament were quoted in weekend newspapers highly incendiary, violent language when discussing May and her continued premiership — one, speaking to The Sunday Times, said "the moment is coming when the knife gets heated, stuck in her front and twisted. She'll be dead soon." 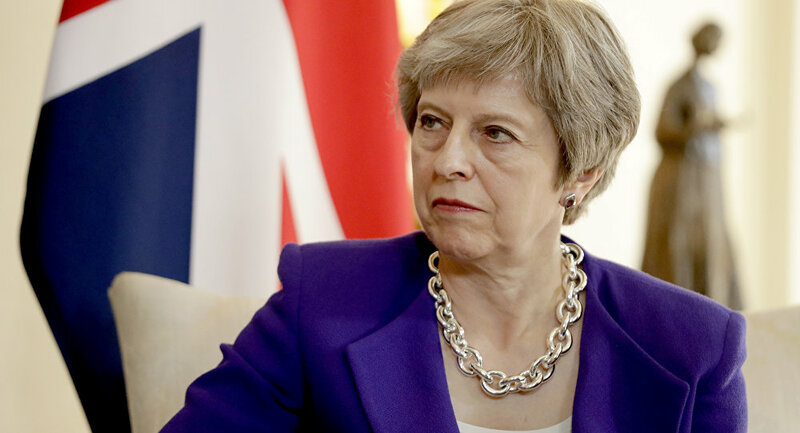 Another said she was now entering "the killing zone", while a third suggested "assassination is in the air" — another, quoted in the Mail on Sunday, said May should "bring her own noose" to a meeting of backbench MPs. Cooper, head of the House of Commons home affairs select committee, told the BBC such language was unacceptable, particularly after the murder of Jo Cox in 2016. "This is vile and dehumanizing language towards a woman MP, towards a prime minister who, no matter how much you might disagree with her, is someone who is doing a job in public life. Nobody should be subject to that kind of violent language, which is normalising violence in public debate at a time when we lost Jo Cox, we have had threats against Rosie Cooper, we have had other violent death threats against women MPs. Maybe if they use that language they will stop doing so if they are being called out publicly from using that kind of vile and irresponsible language again," she said. 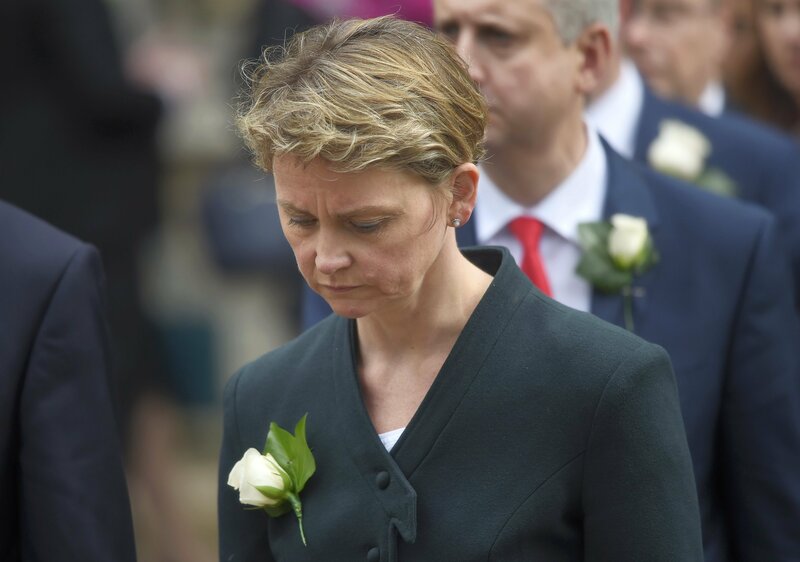 Labour MP Yvette Cooper walks from Parliament to St Margaret's Church for a service of remembrance for Labour MP Jo Cox who was shot and stabbed to death last week outside her constituency surgery, in Westminster, London, June 20, 2016. In response, Conservative MP Mark Francois said the language was "unacceptable" — but he nonetheless would not tell the party's chief whip Julian Smith how to do his job. "The problem is there's a lot of frustration on the backbenches at the moment, both among leavers and remainers, at the general state of play. When you try to convey that to [Whitehall], no one is listening," he explained. Francois' failure to unequivocally condemn the aggressive slights prompted criticism from several fellow Conservative MPs. May's official spokesperson said the Prime Minister wouldn't even dignify the anonymous comments with a response. @BBCRadio4 Mark Francois does not speak for me or vast numbers of moderate conservative MPs. We are fed up of seeing the ERG bullying and undermining the PM because of their so called “vision” of Brexit. They undermine the UKs negotiating position and constantly block solutions. I am appalled that my colleague #MarkFrancoisMP failed unequivocally to condemn the disgraceful and dangerous language used by a fellow Conservative MP against the PM @BBCr4today he even tried to excuse it. Shameful.